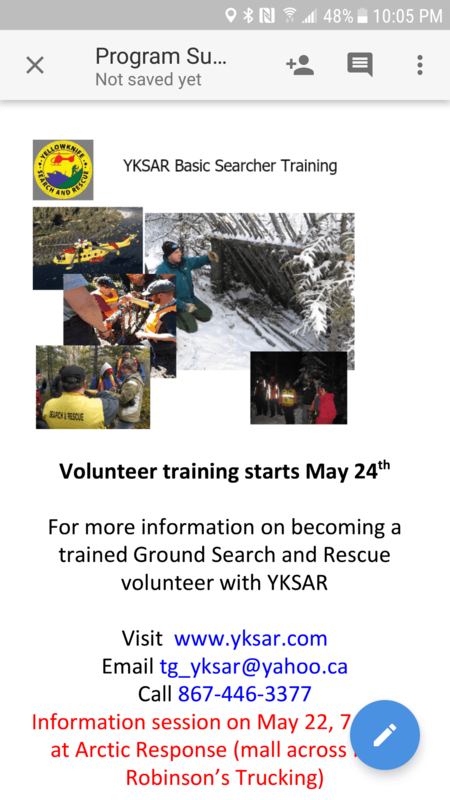 YKSAR will offer basic searcher training over 2 weekends end of May. May 24 weekend will be in-class training. May 31 weekend will be in the field overnight. If you are interested in helping our community search for lost/missing persons, come train. You will learn skills in map reading, compass, GPS, grid search, radio operation. You will learn survival skills. You will acquire formal accreditation. For more information call or text Tom Girrior at 867-446-3377.